Sometimes when you play the “translate the scientific name” game you want to translate a bit loosely to get the real character of a binomial, as with the Tazmanian devil, Sarcophilus harrisii, which I like to render as “Harris found this thing that loves flesh.” I like to imagine Harris holding one out at arm’s length, looking concerned. 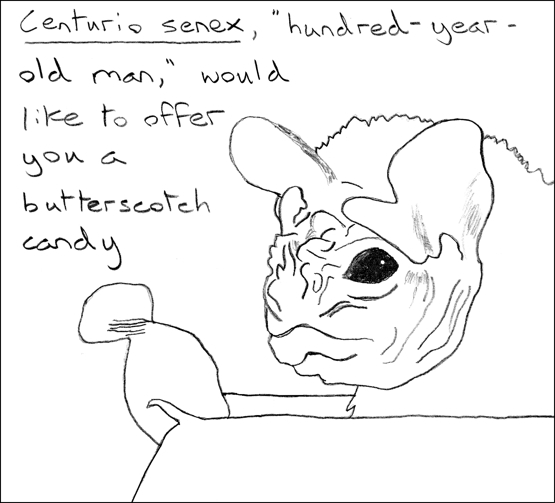 But Centurio senex just literally means “hundred-year-old man” in Latin. Senex is the only species in the genus Centurio, and someone saw the opportunity and went for it. Personally, I think its face looks like a delicious dim sum dumpling, but I can see the old man thing too. And I can’t argue with this bat’s common name, “wrinkle-faced bat.” Listen to your elders! Eat more fruit! 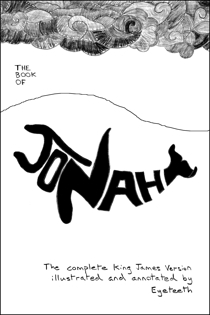 Yet more binomial translations here.